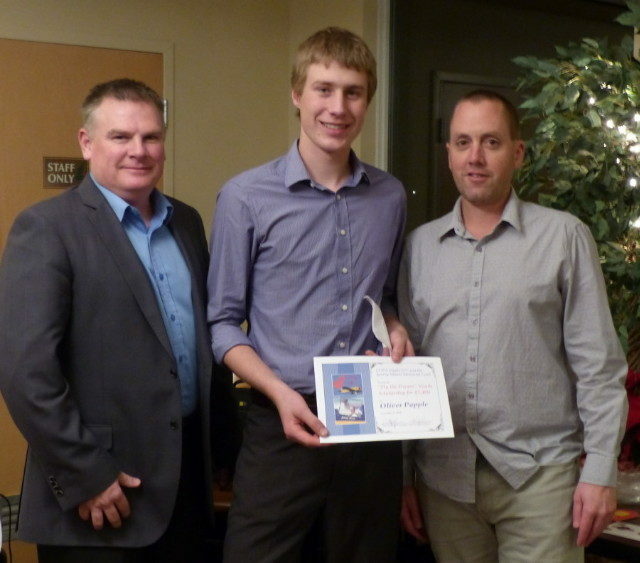 The 2016 “Fly the Dream” pilot licence scholarship program sponsored by Canadian Owners and Pilots Association (COPA) 177- Exeter and the Jeremy Mason Memorial – in memory of Jeremy’s love of flying, was awarded to 16 year old Oliver Papple of Seaforth Ontario. The $2400 bursary provides assistance to a worthy young person to help with the cost of Recreational or Private pilot flight training. Oliver is currently in grade 12 at Mitchell District High School and a member of 532 Maitland Air Cadet Squadron Goderich. He is a volunteer at many community functions, started his own summer business and is involved in many activities directly related to his love of aviation. He is currently working on his Private Pilot licence which he will complete within the year. One of Oliver’s long term goals after college is to combine his love of farming and aviation. For more information on the Scholarship visit copaexeter.ca.